Now in paperback, seeing is believing—unless, of course, you don’t know who the real witch is, or if there is a witch at all! Isabelle Bean is trying to pay attention to her teacher, but she hears a buzz in her ear that she can’t seem to shake. She thinks it sounds like she’s teetering on the edge of the universe—and she’s not that far from the truth. 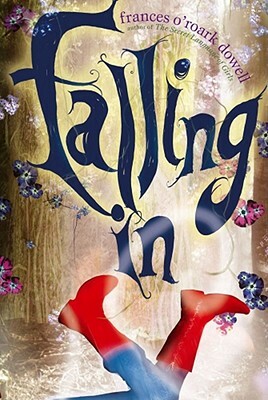 Isabelle’s so distracted by the buzz that she gets sent to the principal’s office, and then while awaiting her punishment, she tumbles into an adventure—into another world that’s a little bit different, a little bit Hansel and Gretel-y, a little bit like a fairy tale. Which would be great, but since she shows up in fairy-tale land wearing her favorite high, pointy boots, the fairy-tale people start thinking that Isabelle is a witch—and not just any witch, but the witch! From Edgar Award-winning author Frances O’Roark Dowell comes the unlikely story of Isabelle Bean—an ultimate misfit, an outsider extraordinaire, and not a witch! Dowell’s (Shooting the Moon) first fantasy novel features sixth-grader Isabelle Bean, an unconventional protagonist who prefers thrift stores to malls and demonstrates an “impressive talent for irritating teachers.” Isabelle’s adventure begins in the school nurse’s office, where she discovers an entrance into another world and meets a group of children fleeing from a witch. As fate would have it, the “witch”—mistreated and misunderstood by villagers—turns out to be Isabelle’s biological grandmother. Much of the novel focuses on the healing powers and sad history of Isabelle’s grandmother and Isabelle’s effort to set the record straight. Readers may be amused by the narrator’s digressions, backtracking, direct addresses (“You want me to tell you where Isabelle is, don’t you? You want me to spell it out for you, draw you a map, paint a picture. Well, I’m not going to do it”), and impish tone, though it can feel a bit forced. Perhaps too many facts are left to the imagination: how Isabelle has changed and what she has gained from her experiences remain questionable at the end of the book. Ages 8–12.